In a staggering display of how decadent our late capitalist society has come, there is now a company that lets 'time-strapped gamers' hire a professional to play their titles for them. Bidvine lets consumers hire professional players for £15 an hour to rank their characters up, unlock extra features within the game, improve their kill/death ratio as well as other services. The company boasts that it is the first UK company to offer this service. There are protections in place; professional players have to provide an ID, as well as prove their ability before being able to take part in this scheme. 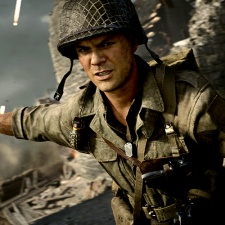 “The Call of Duty game franchise is one of the biggest in the world, and every time they release a new game it’s a race to unlock the best weapons, characters and camos – as well as seeing who can prestige first," said Bidvine co-founder Russ Morgan. This all has a very last days of Rome vibe about it, doesn't it? In all seriousness, this is not without precedent; games like League of Legends and World of Warcraft have seen players paying third parties to improve their character in the past.